He combines in-depth legal expertise and experience with unparalleled commitment and pragmatism. Andreas is a partner specialising in corporate matters. He leads the firm’s Foreign Direct Investment practice and assists foreign companies often backed by IDA Ireland expand their businesses into Europe through Ireland. He has an extensive knowledge of the commercial challenges generated by Brexit and has written and spoken on the subject extensively. He has developed strategies for companies to mitigate against the impact of Brexit. 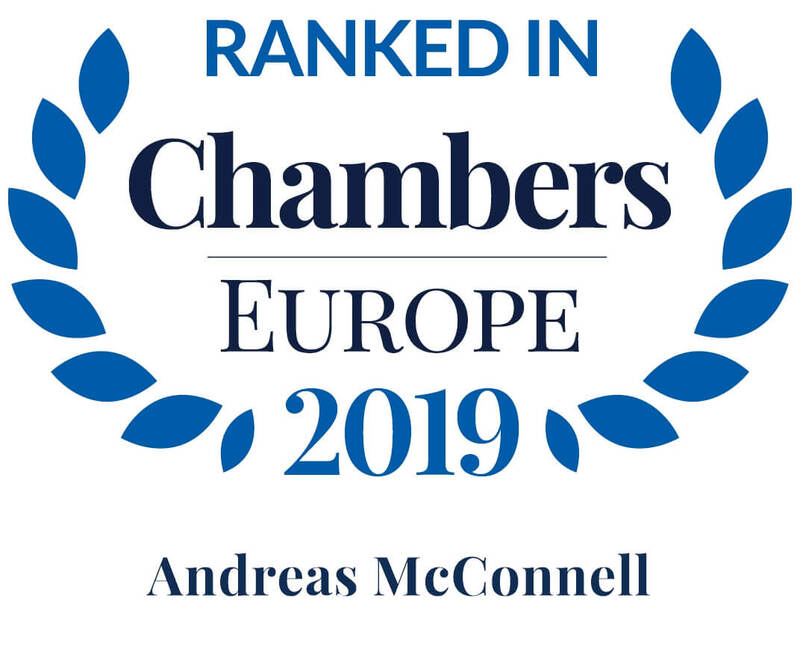 Andreas has acted as lead partner on a very broad spectrum of transactions including venture capital investments, foreign direct investment, project finance deals, tax based investment schemes, joint ventures, mergers, acquisitions, management buy outs and restructurings. Andreas is a member of the Multilaw Executive Council. 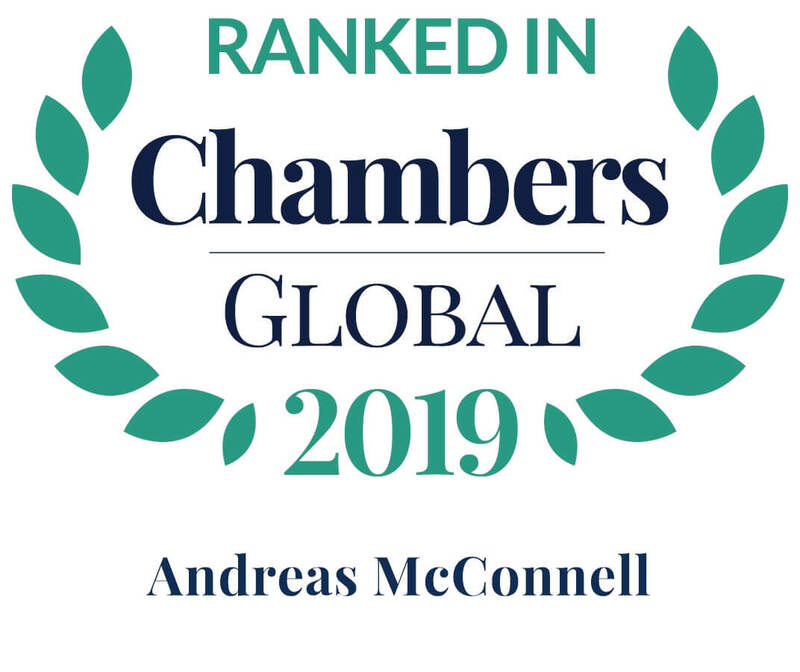 With 10,000 lawyers in 100 countries and a combined annual revenue of $5bn, Multilaw is ranked by Chambers Global as an ‘Elite’ international network of law firms. Philip Lee is the only Irish member. Andreas has a strong interest in high potential early stage ventures and has developed a special early stage unit within the firm. In financial matters, he regularly advises on capital market transactions and has extensive experience in the negotiation of senior credit agreements, intercreditor agreements, syndication agreements, notes purchase agreements, the drafting and perfection of Irish security documentation and the provision of legal opinions in financing transactions. He has considerable experience in transactional and advisory matters with particular specialism in corporate/ commercial, corporate recovery/ debt restructuring and insolvency, project finance/ capital market and corporate governance matters. He has prepared the Irish Chapter of an anti-bribery handbook on behalf of Multilaw and is advising on anti-corruption and corporate governance and regulatory and corporate crime matters. In corporate governance matters, he has acted for a wide variety of clients including charities, banks and Irish and multinational companies on a wide variety of challenging and often highly sensitive issues. He has advised on the merger of charities and on the restructuring of a number of NGOs and not-for-profit bodies. His expertise spans many sectors including not-for-profit, life sciences, pharmaceuticals, healthcare, logistics, energy, media, entertainment, franchising and investment services. In recent years, he has played a leading role in the reform of governance structures in Tallaght Hospital – a leading teaching hospital in Dublin.